"So the next important sign to be looking for is, if on the 15th of this month the UN arbitrarily declares a Palestinian State. This could set the stage for the Gog Magog war with Obama at the forefront of the prophecy! This also ties directly into my "Blood Moons, Decoding the Imminent Heavenly signs" book where I declared the blood moons were signs of incredible times coming to Israel prophetically!" Det är nu snart ett år sedan den sista blodröda månen inföll i tetraden som varade mellan 15 april 2014 till den 28 september 2015. Hur har sedan händelseutvecklingen varit i vår värld efter den sista blodröda månen? Med ett ord: Dramatisk. "Idén att ett lands problem är så djupa att de behöver en stark man som med ett starkt mandat från folket för att göra lite som han vill, den håller på att vinna stöd." Vi vet att Antikrist ska komma innan Jesus kommer tillbaka. Världen kommer tro på honom och stora delar av kristenheten kommer bedras av honom däri att man kommer tro att han är en "messias" som kommit från "gud" för att rädda världen. Som bibeltroende får vi be om nåden att leva i trohet till Honom som vi väntar på, nämligen Jesus från Nasaret som kommer åter i stor makt och härlighet. Jesus Kristus - den ende som kan rädda oss från den ondska och det kaos som nu sprids över vår värld. Låt oss lyfta blicken och låt oss på alla sätt vittna om Frälsaren Jesus den tid vi har kvar av denna tidsålder. Tänk att vi nu är framme i september 2015! Jag tror det var år 2009 som jag första gången, via Ohlins hemsida, hörde talas om Mark Biltz och hans upptäckt om tetraderna och hur det skulle komma ytterligare en sådan några år längre fram i tiden, nämligen 2014/2015. Tiden går ju fort, men tänk att vi nu om några veckor är framme vid den sista blodröda månen i denna tetrad. Vi vet inte, men jag tror att vi är många som anar att även denna tetrad kommer visa sig i ett historiskt perspektiv, som de tidigare, vara förenad med något stort i judafolkets historia. Vad kommer vi få se närmaste året? Blir det ett storkrig mellan Israel och dess grannar eller blir det ett Fredsavtal? Blir det ett tempelbygge i Jerusalem? Blir det en världsledare av icke tidigare skådat slag som träder fram och ”räddar världen” med suveräna lösningar på tidigare helt olösliga världsproblem? Kommer vi kanske få se en ny andlighet som snabbt blir en ny världsreligion växa fram kring den nye så lovande Ledaren (= Antikrist)? Bara Gud vet svaret på detta, men jag tror vi har profetiska vägskäl framför oss under det bibliska år som börjar med Trumpethögtiden den 13 september 2015. COULD THE 70TH WEEK OF DANIEL BEGIN THIS SEPTEMBER 15TH ? While many experts are declaring financial catastrophe this coming September-October time frame, I talked about it years ago and stated it in the book "Blood Moons Decoding the Imminent Heavenly signs" particularly on pages 165-168. But my focus for this newsletter is the next biblical 7 year cycle that begins this September 14th. According to Biblical history, the 7 year cycle of plenty followed by a 7 year cycle of famine in Josephs day began on Rosh Hashanah or known as the Feast of Trumpets. A full year is considered from the beginning to the end. In this case it is Rosh Hashanah to Rosh Hashanah. The timing of God is also always based in the shemittah cycle. So this was not just any seven-year cycle. It not only begins on Rosh Hashanah but begins the first year of the new seven-year cycle. If we have a financial catastrophe this fall it could signal along with a forced peace agreement that we have entered into one of the most significant biblical 7 year cycles of human history. "Right now, France is working on a proposed resolution which would give formal UN Security Council recognition to the Palestinians, would declare that a divided Jerusalem is the capital of both Israel and a Palestinian state, and would set the 1967 borders as the baseline for future negotiations which would establish the final borders between the two nations. It is being reported that France will submit this resolution for a vote after the 70th session of the UN General Assembly begins on the 15th of September. At this moment, 136 nations have already recognized a Palestinian state, but the United States has always blocked recognition by the UN Security Council. This time may be different though, because there are quite a few indications that Barack Obama actually plans to back the French resolution in September. If that happens, and the UN Security Council approves this resolution, it is going to have enormous implications for all of us." We need to be watchmen who are aware of the signs of the times. This has the potential to be one of the most auspicious signs yet. We are about to enter into a new seven-year cycle. 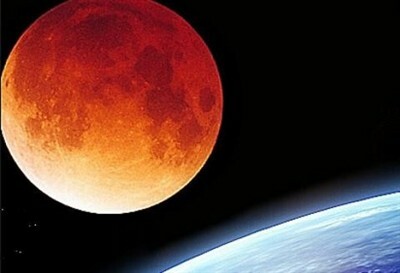 As I wrote in my best selling book "Blood Moons - Decoding the Imminent Heavenly Signs" we need to be on God's calendar if we are to have an understanding of the times we are living in. Revelations 12:6 And the woman fled into the wilderness, where she hath a place prepared of God, that they should feed her there a thousand two hundred and threescore days. And there was war in heaven: Michael and his angels fought against the dragon; and the dragon fought and his angels, And prevailed not; neither was their place found any more in heaven. And the great dragon was cast out, that old serpent, called the Devil, and Satan, which deceiveth the whole world: he was cast out into the earth, and his angels were cast out with him. Revelations 12:14 And to the woman were given two wings of a great eagle, that she might fly into the wilderness, into her place, where she is nourished for a time, and times, and half a time, from the face of the serpent. Revelation 10:5 And the angel which I saw stand upon the sea and upon the earth lifted up his hand to heaven, And sware by him that liveth for ever and ever, who created heaven, and the things that therein are, and the earth, and the things that therein are, and the sea, and the things which are therein, that there should be time no longer. Revelation 10:7-10 But in the days of the voice of the seventh angel, when he shall begin to sound, the mystery of God should be finished, as he hath declared to his servants the prophets. And the voice which I heard from heaven spake unto me again, and said, Go and take the little book which is open in the hand of the angel which standeth upon the sea and upon the earth. And I went unto the angel, and said unto him, Give me the little book. And he said unto me, Take it, and eat it up; and it shall make thy belly bitter, but it shall be in thy mouth sweet as honey. And I took the little book out of the angel's hand, and ate it up; and it was in my mouth sweet as honey: and as soon as I had eaten it, my belly was bitter. And he said unto me, Thou must prophesy again before many peoples, and nations, and tongues, and kings. I believe this is a 7 year time frame. But now let's look at our critical chapter from Daniel 12 so we keep everything in context and compare it with what we read in Revelations! Daniel 12:1,2 And at that time shall Michael stand up, the great prince which standeth for the children of thy people: and there shall be a time of trouble, such as never was since there was a nation even to that same time: and at that time thy people shall be delivered, every one that shall be found written in the book. And many of them that sleep in the dust of the earth shall awake, some to everlasting life, and some to shame and everlasting contempt."